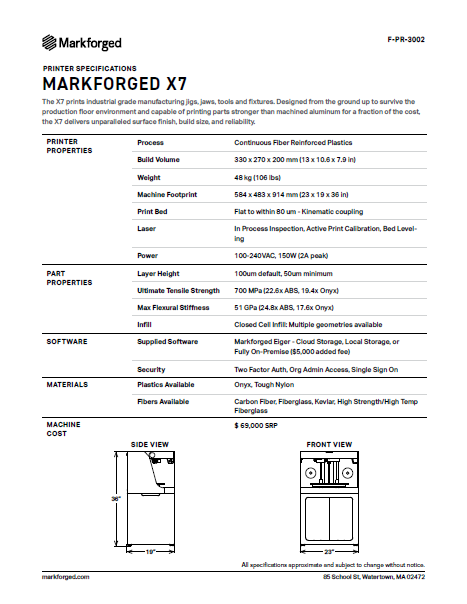 The Markforged Industrial Series are the most powerful 3D printers on the market. 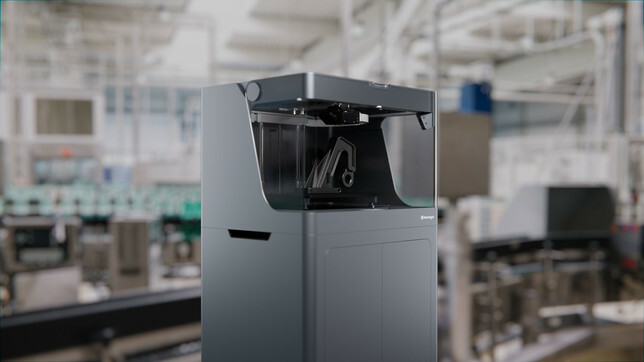 With an industrial-scale printing of incredibly strong parts and first ever precision sensing system, the Markforged Industrial Series are destined to be the must-have 3D printers for every manufacturer. 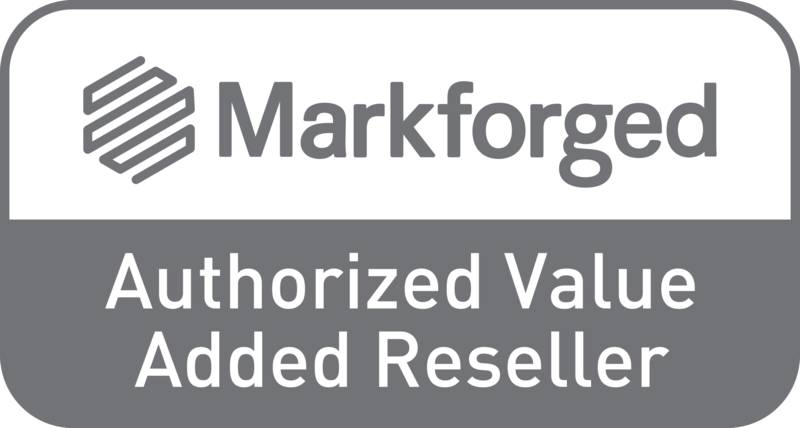 The large build volume of the Markforged Industrial Series make them ideal for robotics, automotive parts, functional prototypes, and prosthetics. With 50-micron resolution layer height, your parts will come out of the printer with a beautiful surface finish on par with the look and feel of injection molding. The strength you need for tooling and functional parts. 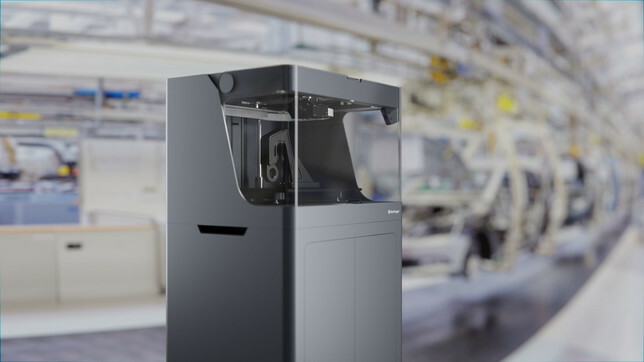 Designed for accuracy and built to survive the production floor environment, Markforged’s composite 3D printers power the next 10x in design and manufacturing. The strength and stiffness of carbon fiber meet the versatility of tough nylon. Engineering class parts that are 20% stronger and 40% stiffer than ABS. For load-bearing applications that require real strength, these parts make the grade. Now you can print parts faster and cheaper than machining metal. Exceptionally strong, supremely stiff, ultra lightweight, and incredibly versatile - X7 parts deliver unparalleled performance without compromise. 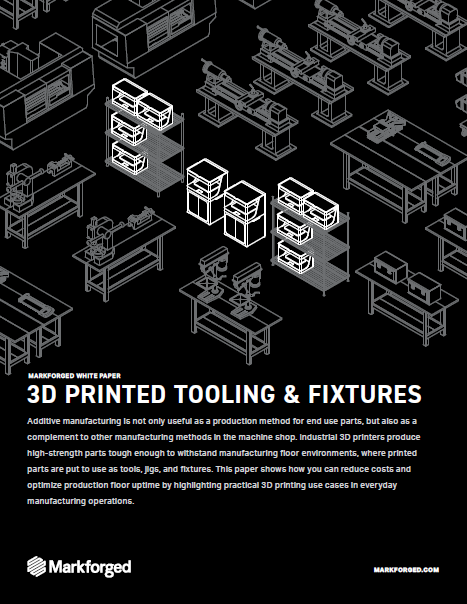 The Markforged Industrial Series gives you breakthrough quality and precision in 3D printing. Scan your parts mid-print using our cloud-based Eiger software and a laser displacement sensor affixed to the print head. Ensure dimensional accuracy at the most critical tolerances at any point in your print. Cloud-connected software and a 4.3” touchscreen comes standard with every printer, washer and furnace. 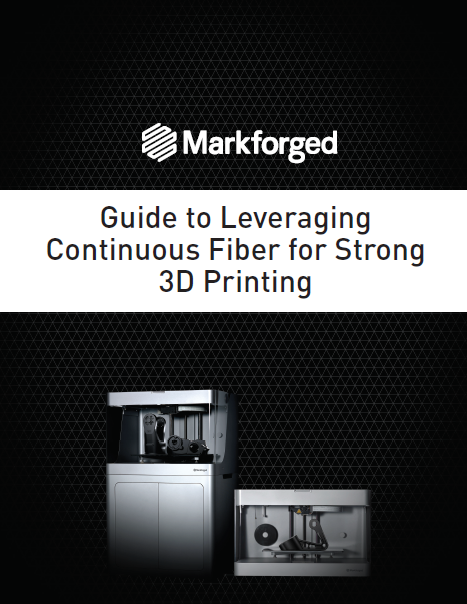 Regular over-the-air updates mean that your Markforged products keep getting better. Material usage tracking and out-of-material detection help monitor your printers and reduce waste. 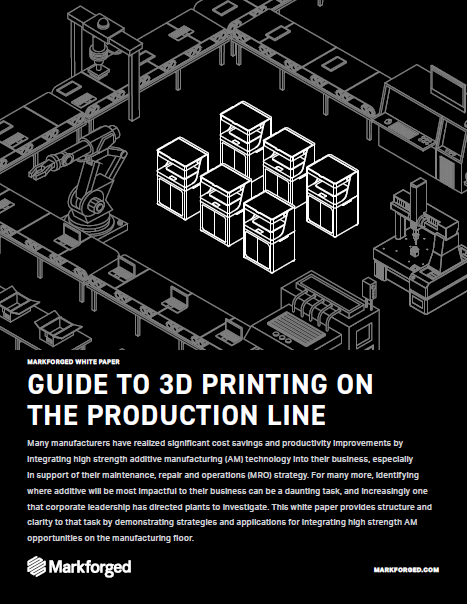 In addition to printing Nylon, the Markforged Industrial series printers can print materials that no other 3D printer can, like Carbon Fiber, Fiberglass, and Kevlar. 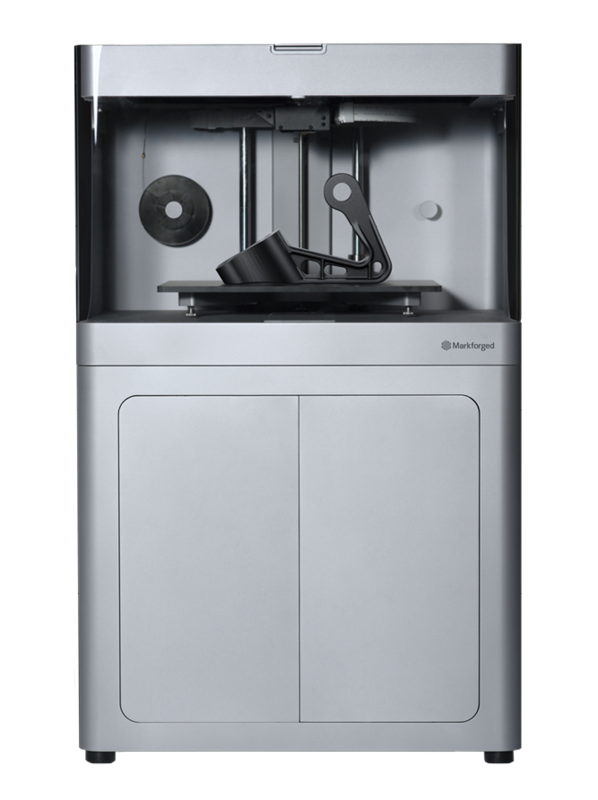 By reinforcing your parts with composite fiber while 3D printing them, Markforged Industrial Series 3D Printers achieve unparalleled strength, stiffness, and durability in their printed parts. 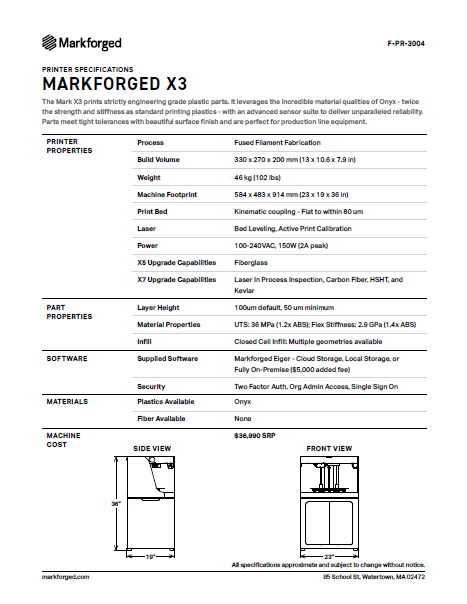 Define a tolerance specification in Eiger, our cloud-based 3D printing software, and the Markforged Industrial Series will scan your part while it’s printing. If an error is detected you will be alerted and can choose to cancel the print remotely, saving time and material. The Markforged Industrial Series3 prints strictly engineering grade plastic parts. It leverages the incredible material qualities of Onyx - twice the strength and stiffness as standard printing plastics - with an advanced sensor suite to deliver unparalleled reliability. Parts meet tight tolerances with beautiful surface finish and are perfect for production line equipment. 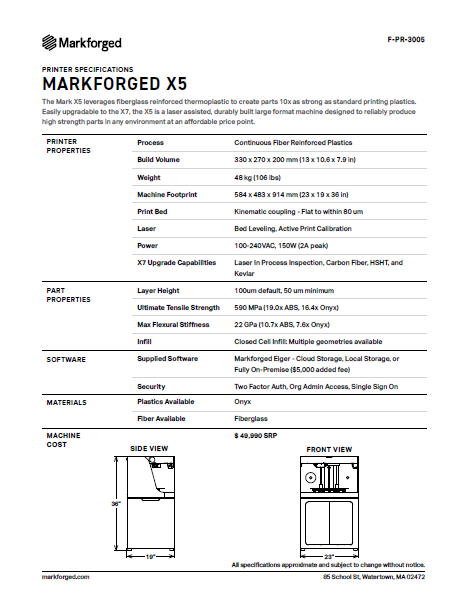 The Markforged Industrial Series5 leverages fiberglass reinforced thermoplastic to create parts 10x as strong as standard printing plastics. Easily upgradable to the X7, the X5 is a laser assisted, durably built large format machine designed to reliably produce high strength parts in any environment at an affordable price point. The X7 prints industrial grade manufacturing jigs, jaws, tools and fixtures. 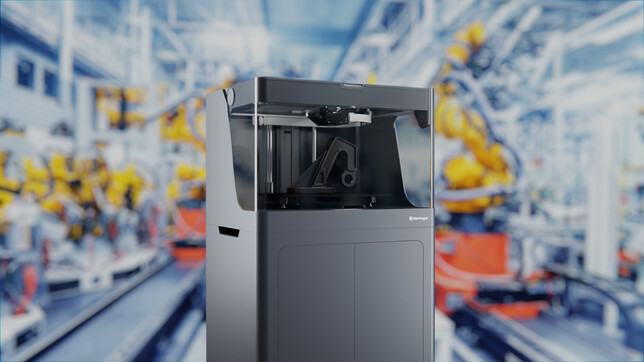 Designed from the ground up to survive the production floor environment and capable of printing parts stronger than machined aluminum for a fraction of the cost, the X7 delivers unparalleled surface finish, build size, and reliability. The X7 was formerly called the Mark-X. 100um default, 50um min. 100um default, 50um min. 100um default, 50um min. Closed Cell Infill: Multiple geometries available. Closed Cell Infill: Multiple geometries available. Closed Cell Infill: Multiple geometries available.